Presently there are 6 known “visited” islands located north of Khaffeklubben Island, which have been identified and visited on foot. 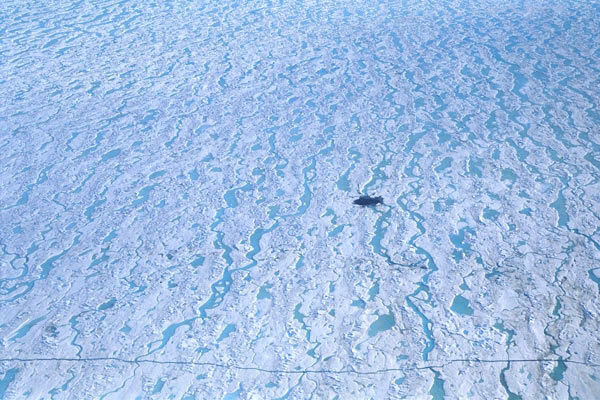 They are all within a range of 5 miles of the coast of Greenland. The first island to be spotted and visited was Odaq in 1978. The next island to be visited was the Top of the World Island, in 1996. It is slightly farther north than Odaq Island. 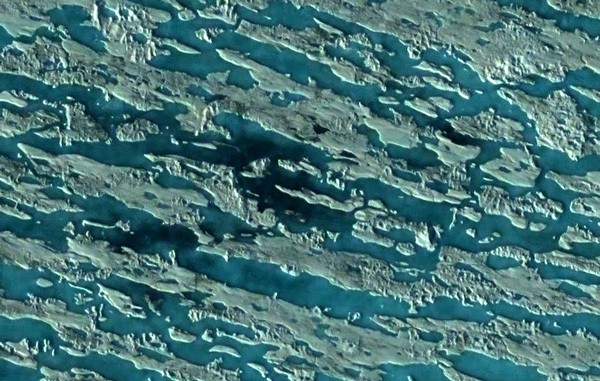 Top of the World Island can be found at the left side of this 2005 enhanced satellite image, within a cluster of gravel bars. These gravel bars are spread out over a distance of 200 meters. The KMS Island found in 1997 is located south west of the Top of the World Island. It can be seen here in this satellite image. Dupree Island was discovered in 2000 is located in the southwestern corner of this cluster. The Euro-American Island, discovered in 1998 and visited in 2003 lies quite a distance north of the Top of the World Island. 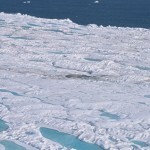 It can be seen here in photograph taken from an aircraft in 2003. 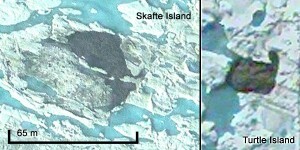 In 2005 Dr. Peter Skafte, Allen DeForest and Paul Lommen identified several new islands utilizing satellite imagery. 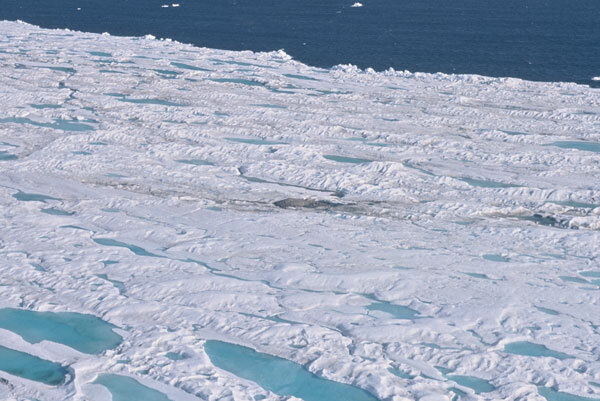 One of these islands was named Skafte Island and posted on the Arctic Thule website as seen above on the right. Dr. Skafte showed the image of the island to an organizer of an expedition to the north coast of Greenland, who visited the island in 2007. 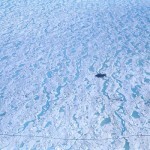 Turtle Island, seen in the photo at right, has only been seen once in 2005, and has not been seen again or confirmed. Although Skafte Island is thus far the most recently visited location in the known islands, Dr. Skafte has identified other islands that are farther north, and these will be explored during the next Arctic Thule expedition.